Our 120 sqm meeting room is full of natural light and modular in two rooms of 60 sqm each to welcome meetings, seminars, events, weddings, cocktails, etc. 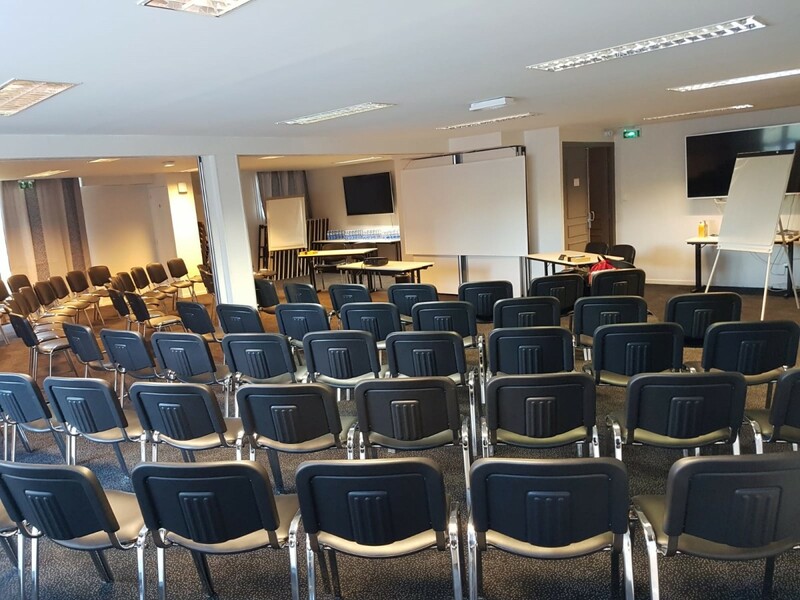 Room rental for half- day, full day or full day meeting pack. 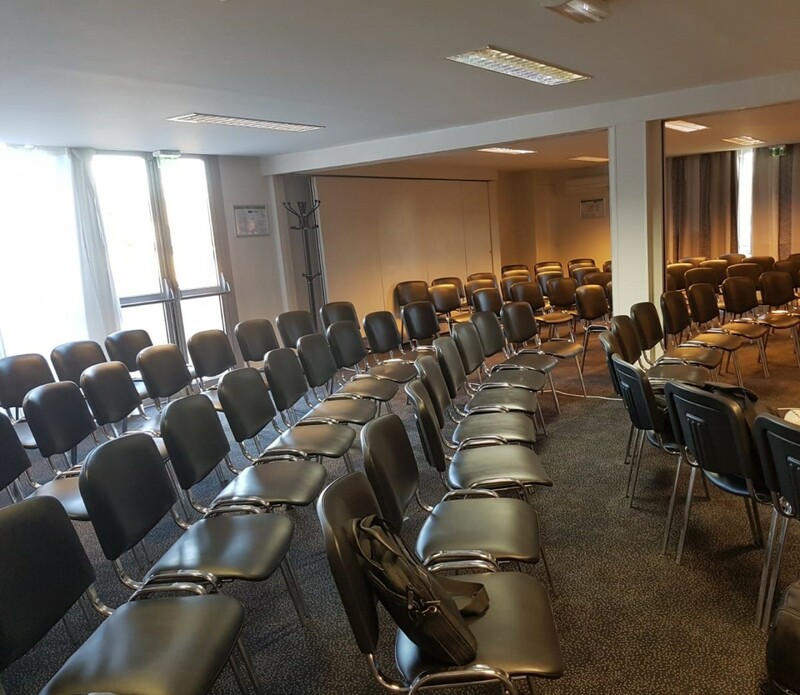 The full day meeting pack includes room rental with equipment, 2 coffee breaks, 2-course lunch with drinks (+5 EUR for the 3-course lunch). We can also offer a more sophisticated menu as well as the privatization of the restaurant La Table de L’Initial, lunch and dinner cocktail. We will do our very best to meet your requirements. 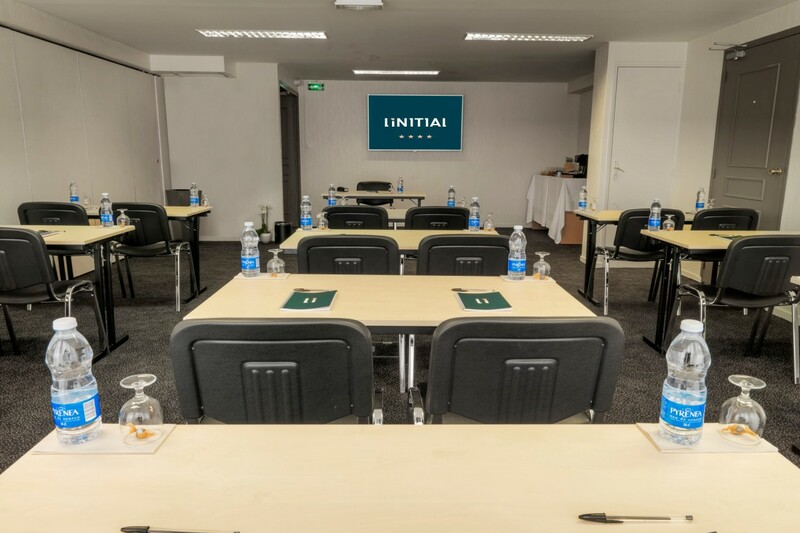 Equipements: TV 65'', screen and videoprojector, paperboard, wireless Internet, paper and pen are included in the room rental as well as the full day meeting pack. The 58 places of the parking are complimentary.